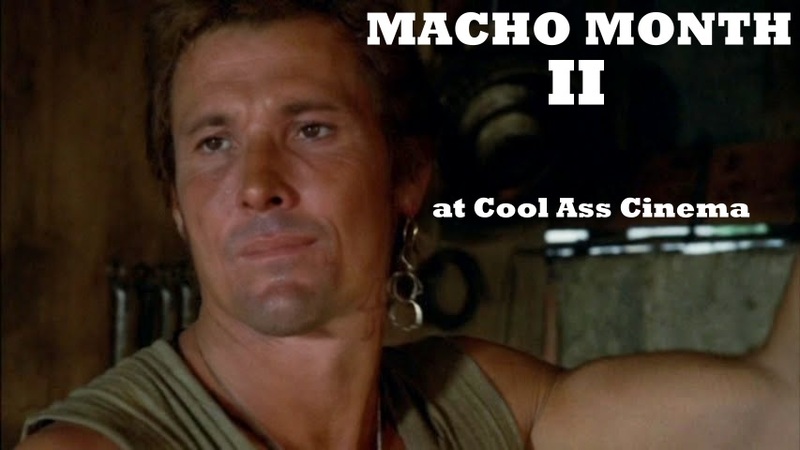 This is another new column here at coolasscinema. 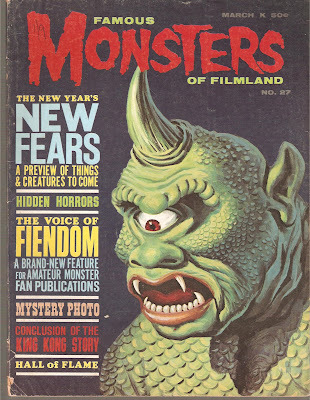 This new section will highlight the magazine that was a huge influence on me that fueled my passion for monster movies when I was a little kid. 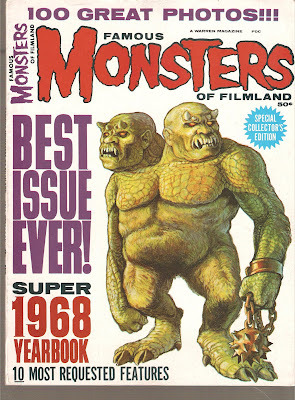 Granted, I was born in 1975 and only began collecting the magazine in 1978, but Forrest Ackerman's long running love letter to fantastic cinema, FAMOUS MONSTERS OF FILMLAND, made a massive impression on me. I even had a Universal Monsters lunchbox (I wish I knew what happened to that). 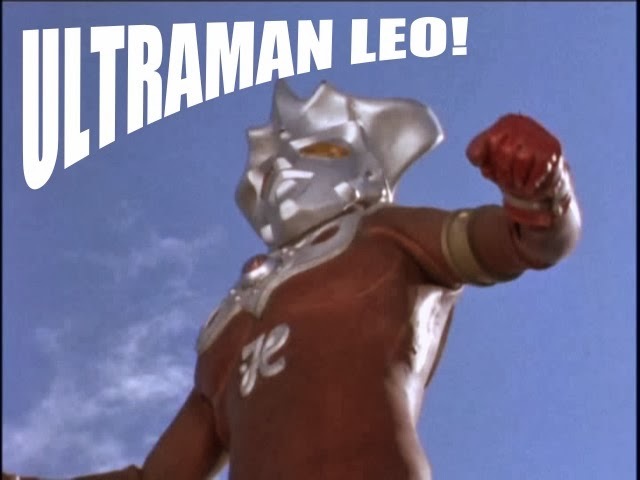 During my childhood, I was totally obsessed with horror and monster movies. 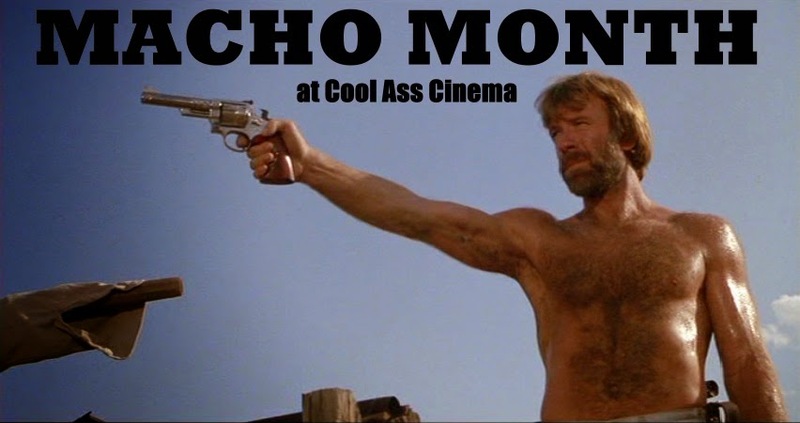 I had a similar passion for kung fu movies, but at that time, I only saw them at the drive in. Weekends were a special time for a monster kid as Friday and Saturday nights were dominated by ghouls, ghosts and assorted creatures of the night. 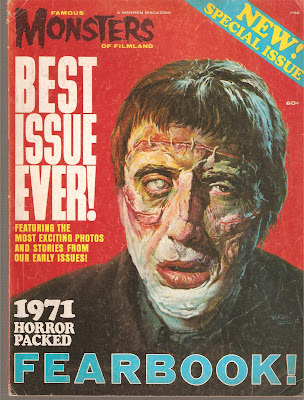 Below is a selection of issues of the 'Famous' fright rag I have accumulated over the years in addition to various other old monster magazines sprinkled throughout. This is the earliest issue I have. I'm not sure what the exact number is, the inside cover says volume 5 no. 2. The issue is from June of 1963. The monster on the front cover is from WAR OF THE COLOSSAL BEAST (1958), the sequel to THE AMAZING COLOSSAL MAN (1957). The Mr. Big sequel isn't quite as good as the original, although the makeup would be somewhat similar to another "B.I.G." movie from 1957 entitled THE CYCLOPS. Strangely, the last shot of COLOSSAL BEAST is in color. 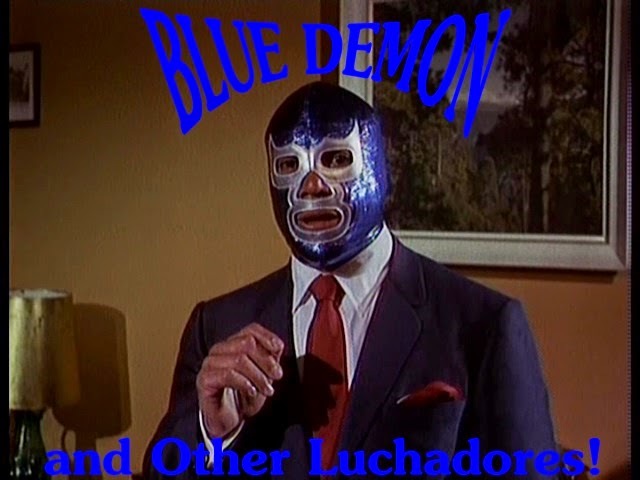 This next issue is no. 27 from March of 1964. The cover beast is the cyclops from the wonderful 7TH VOYAGE OF SINBAD (1958). Both this and the above issue are in rather good condition for their age. 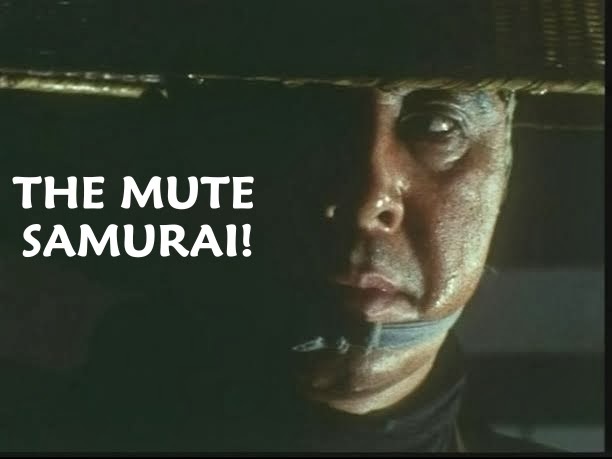 I have particularly fond memories of seeing 7TH VOYAGE for the first time. Initially, GOLDEN VOYAGE was my first journey with the fabled Arabian adventurer, and my favorite. But Matthew's interpretation was a joy just the same and Harryhausen's Dynamation effects work (his first cinematic color achievements) was astonishing to young eyes. 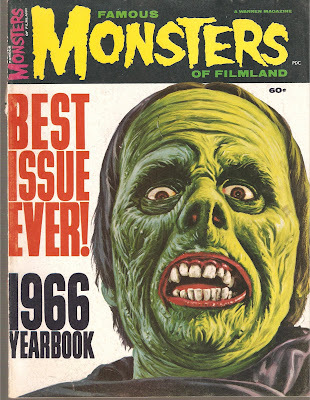 Now we go to the 1965 Yearbook of Famous Monsters. These Yearbooks (also called Fearbooks) were a collection of some of the best articles from early issues accrued for fans enjoyment containing some cool pics and pieces that some buyers may have missed over the years. 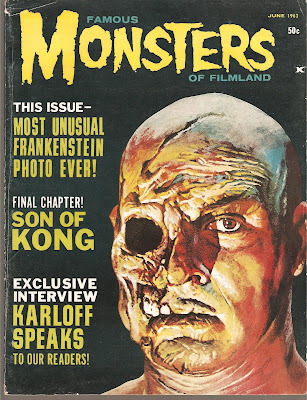 The cool cover ghoul is, of course, the Frankenstein Monster. I have two of these, and the other one is in better shape than the one pictured here. The old Universal horrors were always partial to me, but they lost some of their sheen to these eyes once I was exposed to Hammer Films. Next, it's the 1966 Yearbook. There's a great piece on John Carradine and a look at TALES OF TERROR (1962) and RETURN OF THE FLY (1959). The cover creature is the original Phantom of the Opera from 1925. I was never much of a FLY guy, but I have fond memories of catching TALES OF TERROR late at night where Vincent Price vehicles were regular showings. One of my favorites is THE RAVEN (1963). I've seen that one so many times over the years. Following that is the 1967 Yearbook, which, as it says at the bottom, 'Best from the first 20 out of print issues'. The bulk of this one, however, is mostly FRANKENSTEIN related articles. 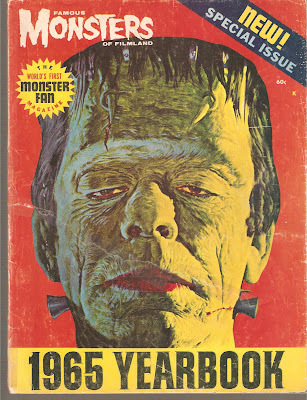 The monster on the cover is the Fredric March interpretation of JEKYLL & HYDE from 1931. 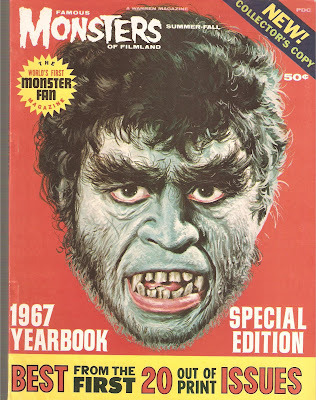 Now we come to the 1968 Yearbook, the 'beast issue ever!'. There's lots of great photos in this one and a great article on the original 1933 KING KONG, a film that got lots of exposure in Famous Monsters. 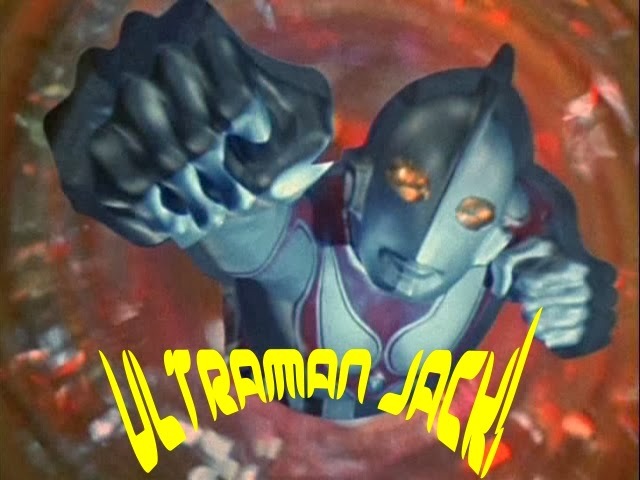 I don't know what film (if any) the cover creature comes from. This was an issue I always wanted to get as a kid as it was featured in the back of the mag amidst the many back issues available at the time. I don't remember when the first time was that I saw the original KONG, but I do remember catching SON OF KONG on a Saturday morning on a local station. 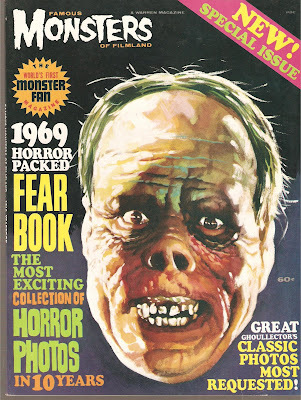 Next, it's the 1969 "Fearbook", as they were now being called. The cover again features Chaney's interpretation of the '25 version of Phantom of the Opera. This issue is in more or less mint condition. It features some great photos from Harryhausen movies such as 20 MILLION MILES TO EARTH (1957) as well as some of Universal's mummy movies and various AIP creature features. 20 MILLION MILES has long been a creature feature favorite of mine and one of the most sought after movies for me for a good number of years. I was anxiously awaiting the DVD when it was first announced having had to settle with a VHS copy from Cinemax. Finally, my last Fearbook, this one is from 1971. The cover creep is none other than Christopher Lee's stab at the creature from THE CURSE OF FRANKENSTEIN (1957). More Universal horrors and a great piece on Amicus' THE SKULL (1965). THE SKULL was probably the first time I recall British terror movies making a deep impression on me as a kid. THE SKULL left an indelible image on mine. I do remember being thoroughly spooked by it. The creepy opening sequence in the graveyard, the eerie shots of the skull floating around amidst devilish paraphernalia, the unsettling score by Elisabeth Lutyens and the dynamic duo of Peter Cushing and Christopher Lee. 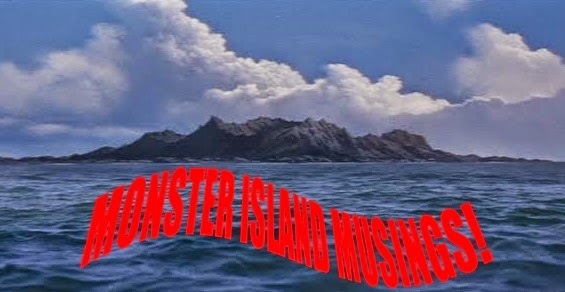 It's one of my favorite Amicus films and one of my fave Brit horrors period. We definitely need to exchange notes on our various collectables we've acquired over the years! Sure thing, Skeme. You can hit me up at brianchiba@gmail.com.